The Tempe Police Department is seeking information on the whereabouts of Tina Marie Erea. Tina is a black and or Hispanic female, 38 yoa, 5'00", 145lbs with brown eyes and black hair. She was reported missing on 10/12/14 after not being seen since 10/11/14; however she is reported to have returned to her residence in Tempe on the evening of 10/13/14 before leaving again on 10/14/14 at approximately 0910 hours. Tempe PD was not notified of her return before Tina left for a second time. 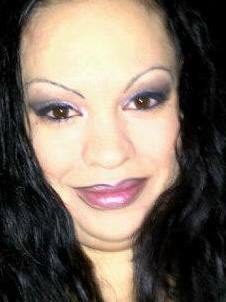 Tina is new to the Phoenix metropolitan area and does not have any known transportation. Tina suffers from depression, anxiety and PTSD and has recently made suicidal statements. Tina is also known to abuse drugs. Tina also has scars all over her left arm from a previous dog attack; has tribal tattoos on both arms; as well as a tattoo of "Adorah" on her left bicep. She is missing part of her right ear.